On October 1, the Wilson Center’s Urban Sustainability Lab and Cities Alliance, a global partnership of governments and NGOs, co-hosted a panel of experts to discuss the significant role of rapidly growing secondary cities in global economic development and strategies to achieve Sustainable Development Goal 11: to make cities and human settlements inclusive, safe, resilient, and sustainable. 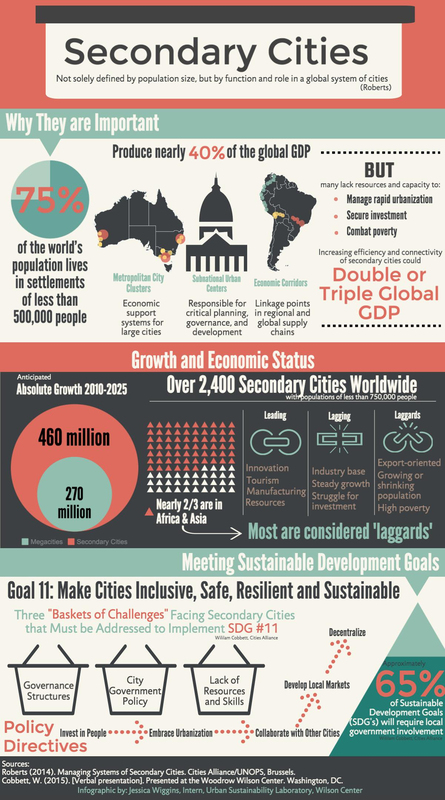 William Cobbett, director of Cities Alliance, a global collection of NGOs and governments, identified three “baskets” of challenges facing secondary cities on their way to achieving SDG 11: governance structures; policy responsibilities; and, the most difficult, lack of resources and skills. As gateways between rural and metropolitan areas, secondary cities are growing rapidly but struggling to attract investment needed to build infrastructure and vibrant communities. “What we’ve got to start looking at is the systems of cities, because all cities are linked,” said Brian Roberts, emeritus professor at University of Canberra and author of Managing Systems of Secondary Cities. “They’re parts of supply chains, forward and backward linkages through various systems.” Secondary cities work behind the scenes to provide manufacturing, logistical, and other critical services to keep megacities, like Tokyo, London, and New York, functioning and growing. Laituri detailed how geospatial technologies can contribute to a better understanding of emerging and secondary cities. Tools like ArcGIS and the open-source platform OSGeo have been used by Laituri and her colleagues to develop hazard maps for natural disasters and vulnerability assessments for marginalized populations in Cusco, Peru. Martin Soulier with the Inter-American Development Bank presented the Emerging and Sustainable Cities Initiative. Launched in 2010 with five pilot cities, the initiative now works in over 50 rapidly growing secondary cities in Latin America to develop mitigation, vulnerability, and urban growth studies to help local governments address financial, technical, and climate change-related challenges. Jessica Wiggins is an undergraduate student from the Texas A&M University Urban and Regional Planning Program. Jessica spent her final fall semester interning with the Urban Sustainability Laboratory at the Wilson Center. 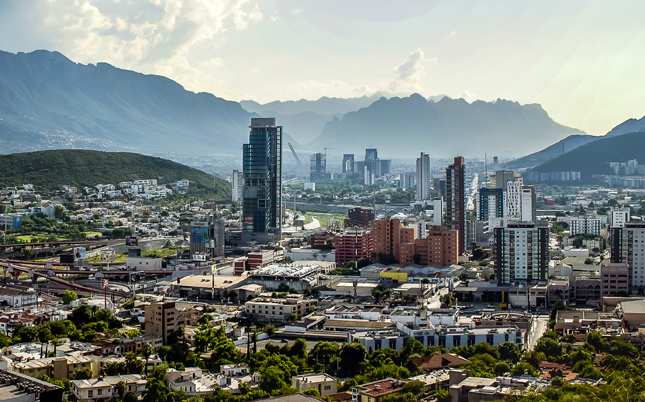 Photo Credit: Monterrey, Mexico, courtesy of flickr user Rock González; Infographic: Jessica Wiggins/Wilson Center.